While I was in Shanghai, I got the honor to meet Mike Horn. Mike is a professional explorer from South Africa, based in Switzerland, but lives on the sea. He is an interesting man – he is like a young, energetic Jacques Cousteau. Mike started as an extreme sports man and went on his first exhibition in 1997. You should check out his portrait on the website and the wikipedia article about him. 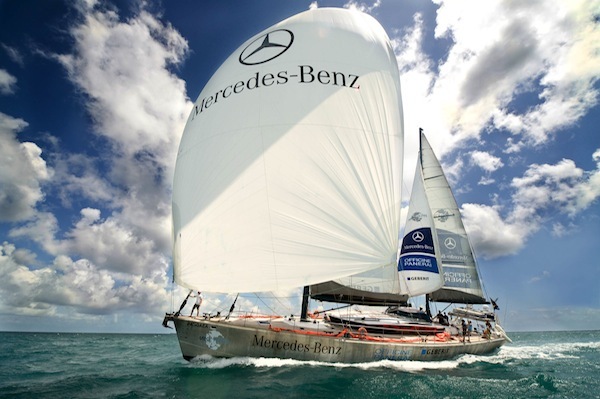 2008 Mike Horn started the Pangaea expedition with the support of Mercedes. A pretty impressive project. 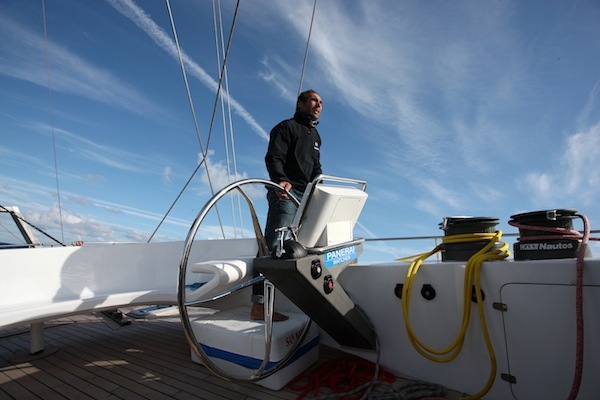 He travels around the world on a sailing boat – the Pangaea. 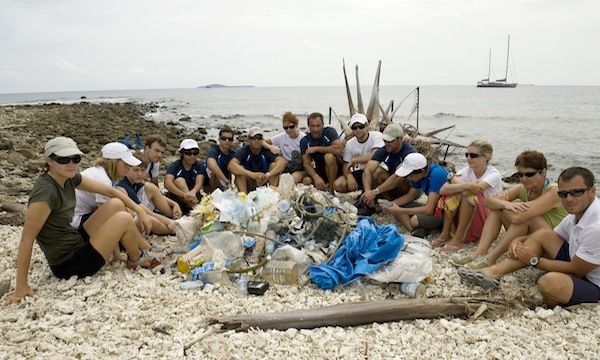 He is joined by ‘Young Explorers’, teenagers, and shows them the beauty of the world and how endangered it is, especially if we don’t change our behavior towards the environment. For example they sail to the south of New Zealand, do a research on dolphins which are on the brink of extinction. 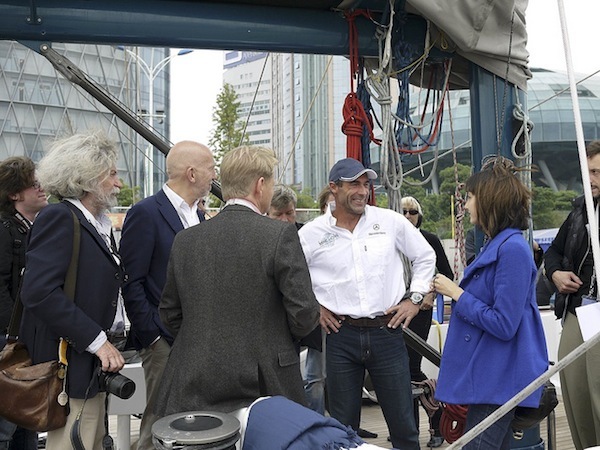 While we met Mike Horn on his boat in Shanghai, he talked about the project and his will to change the world. Or at least to show kids that it’s necessary to change the world. He did it in a very clever way. He talked about his life and how he came to the idea to start expeditions. After swimming through the Amazonas, circuiting the equator, he walked all along the Arctic Circle. During the trip he crossed the north of Canada. He witnessed a spectacular sight. A polar bear was on the hunt for something edible. Because of the changing climate conditions the polar bear has to go very far south in order to find food. The bear was exhausted and got into a fight with a local brown bear. The brown bear usually would not have any chance to fight against the polar bear (he is much bigger and stronger), but since he was so starved and exhausted the brown bear killed the polar bear. Mike Horn explained to us, that because of the human behavior towards the environment the ecological system changed and made things possible that should not have been possible. Mike Horn wants to use the Pangaea Project to make the people aware of what is going on around the world. In order to change our behavior. In my opinion that is a pretty great combination. Having a lot of stories to tell and being able to tell stories that interesting. And having sponsors like Mercedes, who are making it all possible. Mike Horn also talked about it, he thinks ‘only’ building C02 efficient cars is not enough, supporting such projects to actually change behavior is necessary! If I were younger I would apply for the project right away. Imagine sailing around the world with group of people from around the world and learn something about the most beautiful places on earth. Take a look at my photos from the visit on flickr. During my move, from one host to the other, I foolishly wrote an article. Of course, it vanished when my blog was finally moved. So, I went back in time and copied the article, sent me an email with the content and here it is again! Thanks to Doc Brown!